NEW for the festive season! FIll your home with this refreshing and uplifting holiday scent. We've blended all the beautiful essential oils to capture the essence of an Australian Christmas in this natural room spray. We're asked every day "what's that beautiful smell?" when people enter our Biome eco stores. 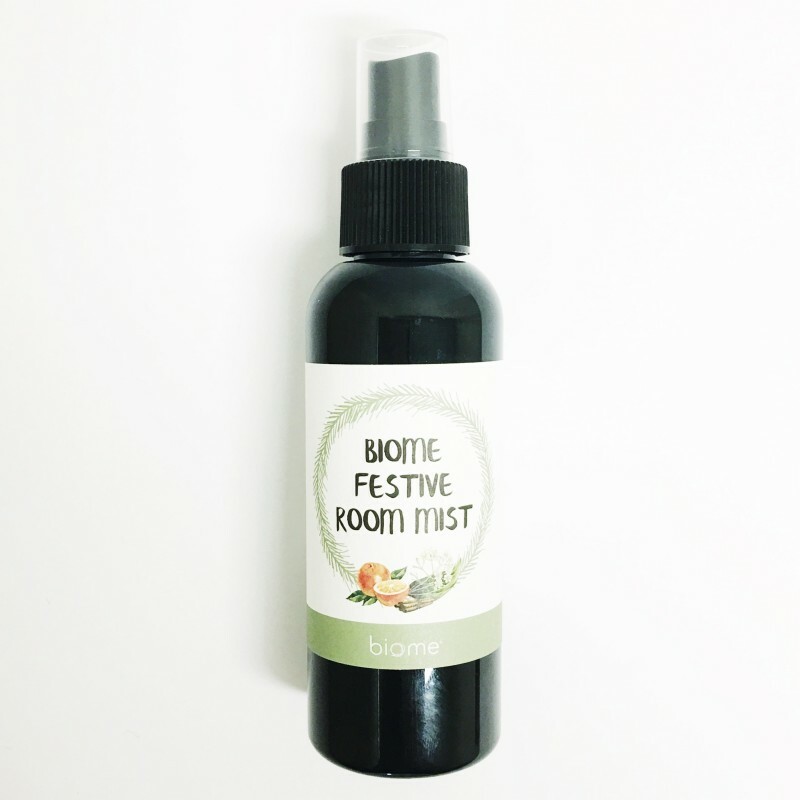 It's actually a gentle blend of all the natural essentials oils in our products, so we developed the Biome natural room spray to capture the much loved scent. For the festive season we have tweaked the blend to capture the essence of an Australian Christmas with orange, cinnamon, lemon myrtle and clove. Our natural room spray has a high concentration of quality essential oils in a sugar derived ethanol perfume base so the scent stays in the air longer. Scenting your home with a natural room spray containing pure essential oils benefits health by reducing chemical exposure from commercial air fresheners. Contains no synthetic fragrances or colours, no paraffin & petroleum products, no synthetic preservatives. Biome Room Spray eliminates odours insteading of just masking them. Sugar derived ethanol is a natural neutraliser, doesn't just cover the smell. Purified water, sugar derived ethanol, 100% essential oils of orange, cinnamon, lemon myrtle and clove. 125ml in a plastic bottle made from #1 recyclable plastic. Spray into the air whenever you need a lift or when someone is coming and you want to set an inviting mood in the house. CAUTION: Do not spray directly onto skin, clothes, pets, vinyl or hard surfaces. We buy one of these every year for Christmas, it is definitely the smell of Christmas!